피비갤러리는 2019년 첫 전시로 2월 28일부터 4월 20일까지 이교준 작가의 개인전 “Untitled”를 개최한다. 이번 전시에서는 미니멀한 기하추상회화(Geometrical Abstract painting) 작가로 알려진 이교준이 1970~80년대에 집중했던 개념적 설치와 사진작업을 재구성하는 한편 90년대 이후 시작되어 현재까지 이어지고 있는 공간 분할을 바탕으로 한 기하평면 회화를 함께 소개한다. 이교준은 1979년 대구현대미술제를 기점으로 70년대와 80년대에 걸쳐 실험적인 설치미술을 전개하면서 한국현대미술에서 주요한 전시에 참여해왔다. 1990년대 초부터 평면작업을 선보이기 시작한 이교준은 석판화, 목탄, 아크릴, 수채 등 다양한 재료를 결합하고 이를 ‘분할’하는 시도를 하였다. 90년대 후반에부터 플렉시글라스와 알루미늄, 납판과 같은 금속 재료와 캔버스를 이용한 기하학적 작업을 통하여 자신의 회화적 독법을 이어오고 있다. 피비갤러리의 “Untitled”에서는 1970~80년대에 한국 개념미술의 대표적인 유형을 이루었던 ‘설치’와 ‘행위’ 예술이 이교준의 작업에서 행해졌던 바를 사진작업과 함께 되짚으며 당시의 상황을 상기하고 이를 현재의 작업과 연관 지어 40여년 동안 이어 온 이교준 작업의 본질에 대해 고찰하는 기회를 마련하고자 한다. 이교준의 초기 작업을 이해하기 위해서는 그 시기 한국 미술의 경향을 간략하게 나마 짚어볼 필요가 있다. 1960년대까지 한국의 미술계는 서구의 미술을 수용하는데 중점을 두었고 구체적 형상에 대한 재현을 벗어나 행위성을 강조하며 두터운 질료감을 표현한 소위 앵포르멜(Informel)로 지칭되는 추상미술의 흐름이 지배적이었다. 이후 1980년대 민중미술이 유행하기 전까지의 70년대는 단색화가 주류를 이루어 한국적 정체성을 대변하였다. 한국현대미술의 큰 흐름인 앵포르멜과 단색화 시대 사이에서 60년대 후반부터 시작된 아방가르드미술은 이일, 오광수 같은 모더니즘 비평가들에 의해 ‘전환기’ 혹은 ‘침체기’의 시도로 평가되기도 하였다. 이를 계기로 미술에 대한 정의와 미술행위 자체에 대한 근본적인 변화가 생겨나기 시작하였고 이교준의 초기 활동에 직접적인 영향을 준 개념미술과도 연관된다. 전위적이고 실험적인 형태로 진행되었던 한국 아방가르드 미술은 대지미술(Land Art), 환경미술(Environment Art), 오브제(Object), 설치미술(Installation Art) 등의 개념성을 강조한 작품들을 발표하였고 서구와 일본으로부터 유입된 미술이론과 흐름을 받아들이면서 한국 현대미술에 맞는 담론을 펼쳐나갔다. 이 시기의 많은 작가들이 이전에는 상상하지 못했던 신체, 텍스트, 장소, 공간, 중력, 프레임 등을 미술의 구성 요소로 인식하기 시작했고 이들의 근본적인 작동원리를 사유하고 실험하는 시도들이 일어났다. 이교준도 예외가 아니었다. 새로운 미술에 대한 열망이 높아졌고 국제적인 조류에 대해 민감하게 반응하기 시작하면서 개념미술 혹은 ‘개념으로서의 미술’을 적극적으로 의식하였다. 이 같은 상황은 70년대 중반에 시작된 대구현대미술제(1974-79)에서 집약적으로 드러났고 이교준은 국내 작가들뿐 아니라 대구를 방문한 일본의 현대미술가들과 교류하고 영향을 받으며 작가로서 행보를 이어갔다. 작가는 기존 미술의 방식으로 충족되지 않는 지점을 신체와 일상의 행위를 작품의 구성요소 혹은 대상으로 삼으면서 표현한다. 신체와 행위를 나타내는 언어들을 목록화하여 사진이나 영상에 담거나 때로는 녹음된 음성으로 발성하기도 한다. 신체작업은 필연적으로 시간의 흐름에 따른 작업과정이 드러나고, 주체와 객체가 재설정되는 상황을 맞이한다. 이교준의 사진작업은 신체작업과 직접 연관된다. 신체/퍼포먼스를 기록하기 위해 사진이 이용되었고 이때 프레임의 바깥에 여백을 남겨 인화하는 방식은 대상이 놓여지는 장소에 대한 우리의 감각을 흐트러뜨린다. 또한 의자, 나뭇가지 등의 오브제를 사진으로 찍은 후 실제의 대상과 사진을 병치하여 실제와 개념, 프레임의 안과 밖, 그 경계에 대한 기존의 인식에 의문을 제기한다. 개념미술에서 언어는 가장 보편적인 형식으로 언급되는데, 이교준은 언어에 있어 인식의 영역과 지각의 영역을 분리하고 이들 사이의 상호작용을 실험하는 작업을 하였다. ‘BLACK’, ‘WHITE’ 등의 텍스트를 문자와 의미가 일치하게 하거나 반대되게 하여 인식과 지각 사이에서 발생할 수 있는 차이를 일깨운다. 이교준의 신체, 사진, 텍스트 작업은 함께 묶어서 전시되기도 했듯이 서로 맞물리며 연결된다. 신체-사진작업이 그러하듯, 쓰여진 언어(인식)를 지각하는 과정에서 발생하는 음성의 발음을 통해 텍스트-신체작업이 상호작용하며 이어진다. 이교준이 청년시절 행했던 일련의 개념적인 실험은 현재의 작업이 어떤 방식으로 성취되어 왔는지 알 수 있는 단초를 제공한다. 이교준은 90년대 이후로 캔버스, 종이, 알루미늄, 납판, 목재 등 다양한 재료들을 수용하며 평면적 구조에 대한 작업을 꾸준히 이어왔으며 90년대 후반에 와서 화면을 분할하고 색면을 통해 이를 다시 구획하는 시도가 펼쳐졌다. 2000년대부터 본격적으로 캔버스로 옮겨와 최소한의 형태와 색채만으로 화면을 분할하는 작업을 추구하였고, 2000년대 중반 이후 강렬한 색감과 수평, 수직의 교차, 불규칙하게 혼합된 레이어들이 시도된 작품들이 나타나기도 했다. 2009~2012년에 집중된 연작 회화에서는 면으로 구성된 층과 선으로 구성된 층이 겹쳐지면서 각 층마다 공간을 내포하고 있는 것처럼 보인다. 면과 선 그 자체가 독립된 요소로 화면 안에서 균일하게 공간성을 보여주는 이교준의 작품은 평면이라는 프레임 자체를 새롭게 인식시키고자 하는 듯하다. 이것은 마치 이교준의 초기 사진작업에서처럼 필름의 프레임을 날것으로 인화하여 프레임 자체를 변형시키는 제스처나 사진 모서리에 기대는 듯한 퍼포먼스로 재료로서의 틀 자체를 부각시키려 했던 작업을 연상시키기도 한다. 틀과 프레임에 대한 이교준의 사유는 40여년의 시간을 건너면서 회화의 형식을 통해 구현되고 있는 것이다. 작가의 주관적 개입을 최대한 배제하고 구성의 위계를 없애려는 의도는 최대한 단일한 형태와 ‘중심이 없는 병치(one another after)’라는 미니멀리즘적 외형의 형태를 따르는 가운데 면 분할을 집요하게 이어가는 데서도 드러난다. 화면에서 여백은 단지 비어있는 공간이 아닌 면 자체의 분할을 위한 논리적 사유의 결과로 보는 것이 온당하다. 회화 시리즈는 2차원의 평면 안에서 기본적인 면의 구획과 이를 통한 선의 구축을 통하여 그 표면이 함의할 수 있는 (3차원적) 공간을 제시함으로써 회화의 입체적인 효율성을 가시화한다. 이교준은 그림을 그리는 것이 아니라 평면 안에서 공간을 만들어내고 있는 것이다. 비어있는 것처럼 보이는 그의 캔버스는 오히려 무언가가 꽉 채워질 듯한 무한한 가능성의 빈 공간(void space)을 담고 있다. 피비갤러리의 “Untitled” 전시는 이교준의 초기 작업들과 현재의 평면 작업이 사뭇 다른 형식적 시도를 거치더라도 동일한 개념의 결과에 닿을 수 있다는 논의의 가능성을 보여준다. 1970~80년대의 실험적인 작업들이 그 이전 시기 미술의 한계를 벗어나기 위한 실천으로 행해졌다면, 2019년 현재의 이교준은 역설적이지만 회화라는 형식을 빌어 회화의 한계를 벗어나기 위한 실험을 진행하고 있다. 기존의 틀을 넘어서고자 하는 이교준의 태도는 새로운 모색과 실험, 행위와 개념의 미술로 전개되었으며 앞으로 펼쳐질 작업에 대한 근간을 만들었다. 본 전시는 이교준의 예술에 대한 실험적인 정신이 지금까지도 유효하다는 것을 보여주면서 이교준 작업의 정체성을 확인하고 나아가 한국 현대미술의 차원에서 재조명 받을 수 있는 기회를 마련하는 것에 의의를 두고자 한다. 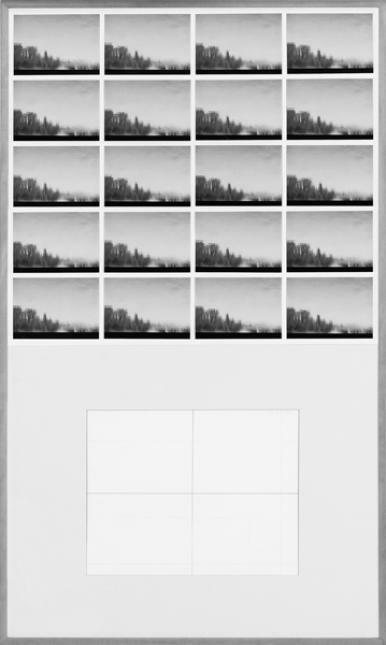 * 황인, ‘개념미술의 개념’, 『Lee Kyo Jun Early Works』, 2018, 마르시안스토리, 대구, pp. 8 ~9. 참조. For its first project of 2019, PIBI GALLERY presents Untitled, the solo exhibition of Lee Kyo Jun from Feb. 28th to April 20th. The show will be revisiting the conceptual installation and photography works that the minimal geometrical abstract painter Lee did from the 1970’s to the 1980’s, while also introducing the geometrical plane surface paintings based on spatial division he has been producing since the 90’s to the present. Lee has taken part in major contemporary art exhibitions of Korea starting from the 1979 Daegu Contemporary Art Festival (DCAF) and through the 70’s and the 80’s, developing an experimental style of installation art work. From the early 1990’s he begins producing plane surface pieces by combining various materials such as lithographic print, charcoal, acrylic, watercolor, etc. and “dividing” the canvas. Going into the latter part of the decade, Lee develops his own understanding of painting through geometrical works created using plexiglass, metals such aluminum and lead, and canvas, a style he continues to this day. Through the Untitled exhibition, PIBI gallery hopes to take a look back at his photography pieces and how installations and performances – the representative art forms of Korean conceptual art in the 70’s and the 80’s – play a part in Lee’s work, as a way of remembering the artistic environment of the time and to connect this to his current work in creating an opportunity to contemplate about the essence of his artistic journey of 40 years. To understand Lee’s early work, we need to briefly go over the trends of Korean art at the time. 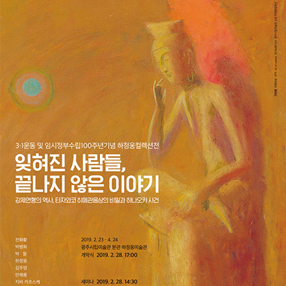 Up until the 1960’s, the artistic world of Korea was mainly about embracing the art of the West, dominated by the currents of the so called abstract Arte Informel that moved away from the specific reproducing of forms and focused more on such things like the act of performing and the use of materials with thick expressive qualities. 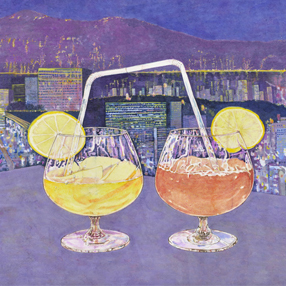 Until the rise in popularity of Minjung Art that coincided with the pro-democracy movement in the 1980’s, the artistic identity of Korea in the 1970’s was largely dominated by monochromatic paintings. Sandwiched between arte informel – a major current in Korean contemporary art – and the monochrome painting periods, avant-garde art in Korea that started in the second half of the 1960’s was considered by many modernism critics, such as Lee Il and Oh Gwang Soo, to be an attempt of “transition” or “stagnation.” And it was through this that fundamental changes began to take place not only to the definition of art but to the act of art itself, which relates to conceptual art that had a direct influence on Lee’s early works. The rather radical and experimental Korean avant-garde art put out work that stressed concepts of land, environmental, objéct, and installation art and developed discourse on Korean contemporary art while absorbing the artistic theories and trends coming in from the West and Japan. It was during this period that many artists began to see previously unthinkable elements such as the body, text, site, space, gravity, frame, etc. as components of art, and began making artistic attempts in contemplating and experimenting their fundamental application principles. Lee was no different. As the thirst for new art deepened and people began to react more sensitively to international trends, awareness for conceptual art, or art as a concept, was actively on the rise. The situation as a whole was well represented at the DCAF that began in the mid 70’s (held from 1974 to 1979), where Lee exchanged ideas with and was influenced by both Korean as well as visiting Japanese artists, and began forging his way as an artist. For areas that are not able to be aptly expressed utilizing previously existing artistic methods, Lee uses the body and acts of everyday life as components or the subject of his work. He lists words that denote a body and an act and captures them in a photograph or on film, or sound them out via a recorded voice. Body art inevitably follows the passing of time and its work process is revealed, thus consequently resetting the main agent and object of a situation. Lee’s photographic work is directly related to his body art, in that he uses photography as a means to record his body and performances. By developing the pictures while leaving the area outside the frame blank on purpose is a way of disturbing our conception regarding where a subject is placed. 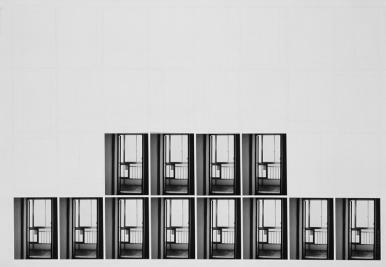 Added to that, Lee photographs such things like a chair or a tree branch and juxtaposes the photo with the actual real subjects, questioning the existing notion regarding the border between the real and the concept, and the inside and outside of a frame. Language is considered the most common method of expression in conceptual art. In Lee’s case, he separates language into an area of awareness and an area of perception and experiments with how the two areas interact. By pairing the text with its correct meaning or with the opposite, Lee underscores the difference that can arise between awareness and perception. 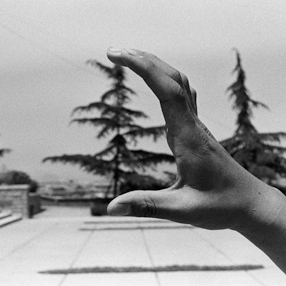 As the body, photo, and text works of Lee are often grouped together under a single exhibition, they are all interconnected. 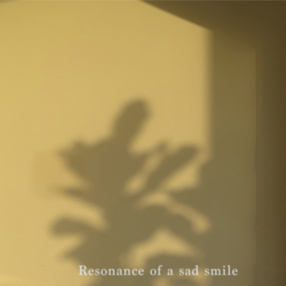 As in his body-photography works, through the vocal pronouncing of words that results from the process of perceiving written language (awareness) his text and body works interact with each other and become connected. The series of conceptual experiments Lee performed as a young artist provide us with clues as to how Lee’s current works have come to be what they are today. From the 1990’s Lee has steadily created work on flat compositions bringing in diverse materials such as canvas, paper, aluminum, lead plate, and wood. In the latter part of the decade he begins his attempts in dividing the screen and re-partitioning it using color fields. 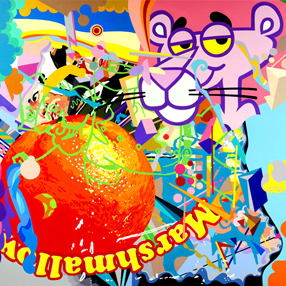 He shifts mainly to canvas coming into the new millennium, opting to use only minimal forms and colors to split the working area, then in the latter years of the 2000’s we see pieces that show off strong colors accompanied by the intersecting of perpendiculars and verticals, and unorganized grouping of layers. In the serial painting piece Void – to which Lee devoted the years 2009 to 2012 – we see a layer consisting of planes and another composed of lines, the overlapping of the two layers making it seem as if there is space within each layer. Lee’s work tries to make us newly aware of the frame itself, with the planes and lines existing as independent elements to uniformly demonstrate a sense of space within a canvas. This reminds us of his early photographic works where he changes the frame form by developing the photographs with the film frame intact or where he appears to leans on the edge of a photograph as a performance, accentuating the frame being a material as a subject itself. Lee’s contemplation on boundaries and frames has journeyed through 40 years of time, coming to us in the form of a painting. 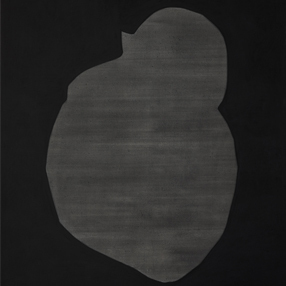 Lee’s intention of removing the subjective input of the artist as much as possible and eliminating rank in the composition is evident in not only his use of the uniform “one-after-another” minimal displaying style in his work but also in his persistence in continuing to divide the canvas. 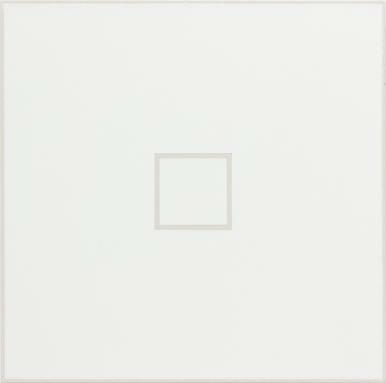 In Lee’s work, any blank area is not simply empty but it must be considered as the result of a reasonable contemplation for the division of the canvas space itself. 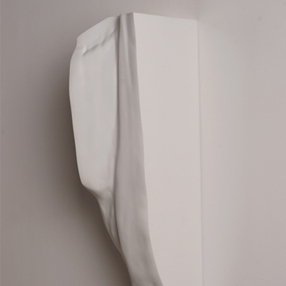 In his painting series Untitled, Lee suggests the (three dimensional) space that could be possibly contained within a surface through the dividing of a surface within a two dimensional plane and the resulting forming of lines, thereby visualizing the stereoscopic effectiveness of paintings. 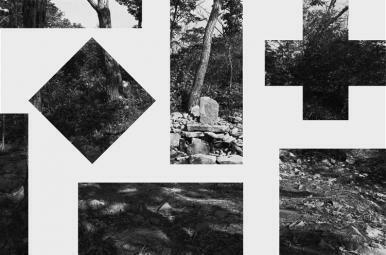 Lee is not painting, but creating space within a surface. In Lee’s case, what appears to be an empty canvas actually includes void space of infinite possibilities that can filled with a whole lot of something. 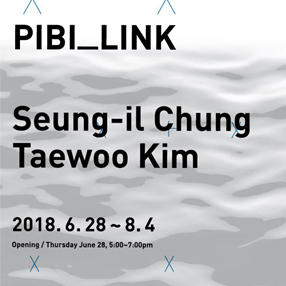 PIBI GALLERY’s Untitled will show audiences the possibility of a dialogue in that while the early works of Lee may have rather different attempts in format compared to his current plane surface works, they both will reach the same conceptual result at the end. 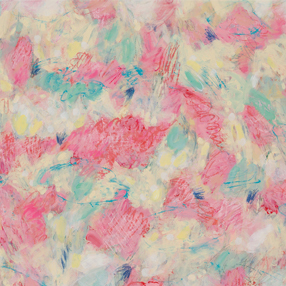 If his experimental works of the 1970’s and 80’s came about as his way of breaking free from the limitations of art of the past times, the works of Lee in 2019 are his experiments in trying to break free from the limitations of painting by paradoxically using the format of painting. His attitude in trying to overcome the previously set boundaries is what led him to new explorations, experiments, performances, and conceptual art, as well as setting the stage for his future artistic endeavors to come. 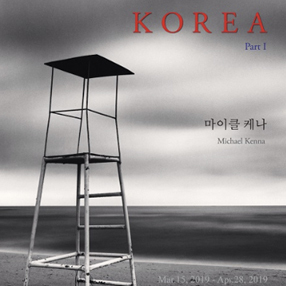 This exhibition will not only demonstrate that Lee’s experimental spirit regarding art is still very much alive and confirm the artistic identity of his works, but also provide the opportunity to revisit them from a perspective of Korean contemporary art.